Yachting life is filled with luxury, relaxation, and class. Nowadays, aside from luxury and class, yachts are filled with technology, gadgets, and everything else in service of ensuring the best travel experience possible. Of course, all that luxury comes with a price. 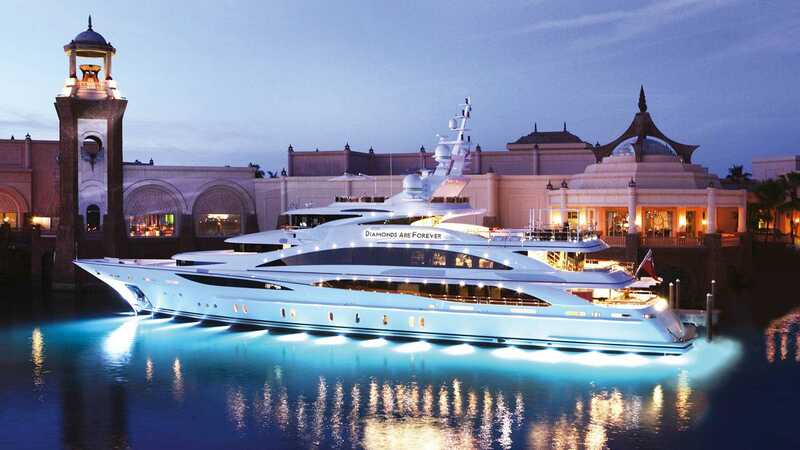 Without further ado, let’s take a look at some of the most expensive, and most luxurious yachts. 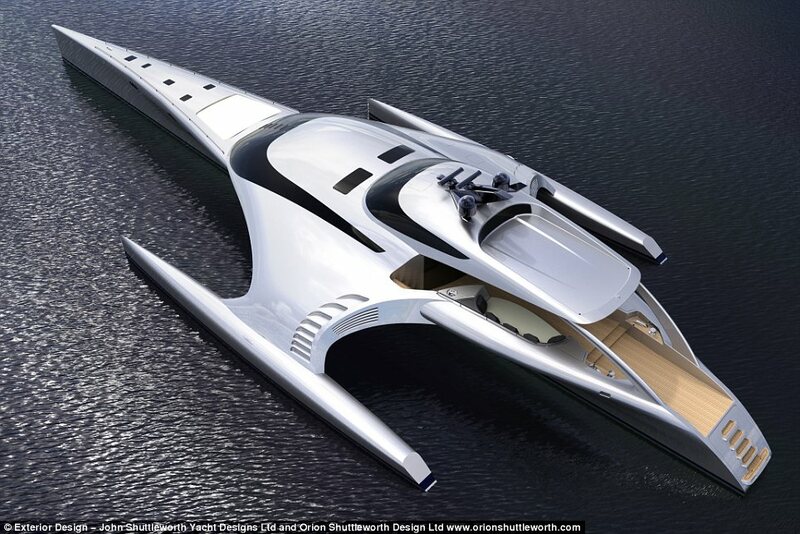 You know you can expect luxury from a James Bond-themed yacht, and this one absolutely delivers. Diamonds are forever is the latest incarnation of John Staluppi, a man that breathes engine. The 61 meters long yacht might not be the fastest yacht at sea, but it is one of the top 10. John has always loved speed, so he installed that aspect in the luxury super yacht. Adastra was built in 2012 in China, and then sold to a billionaire couple that wanted to splurge. The yacht has a restaurant with panoramic views, but one of the most incredible aspects is that the yacht can literally be controlled with just one finger. The technological advance in Adastra is astonishing, as you can control anything you want with an iPad. The couple that bought the yacht already owns two islands in Indonesia, so they probably wanted to use the yacht to go from island A to Island B in no time. Despite being one of the most expensive yachts on the list, Seven Seas offers accommodation for only 12 guests in 7 suites. But those 12 lucky people will have a blast. A custom built yacht for a billionaire, Seven Seas is almost 90 meters long, and can go up to 15.000 knots. And for the guests to enjoy their time, the yacht can accommodate up to 23 staff members. When built in 2011, Eos was the world’s largest yacht at 300 ft long. What makes Eos special is that unlike most of the yachts on the list, the building material is pure wood. Nowadays, billionaires look for metal and similar materials for their yachts. Put next to them, Eos looks vintage. But don’t worry, inside, the yacht is equipped with state of the arts navigation systems and everything else to ensure smooth sailing. Yachts are not usually designed to carry a large number of people. They are usually private sailing transportation systems. However, Annaliese is an exception to the rule, able to accommodate up to 50 people not counting the crew. This makes the yacht perfect for larger parties. And we know billionaires love to party. 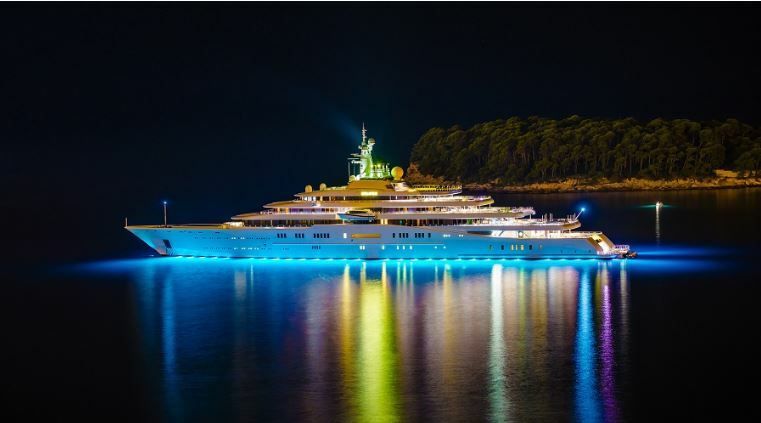 Dilbar is now known as “Ona”, a superyacht owned by Russian billionaire Alisher Usmanov. 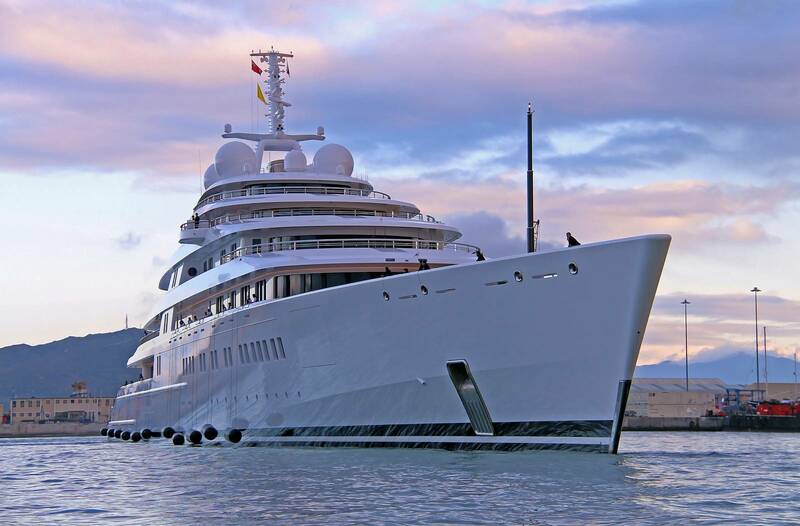 Dilbar was a pioneer in the yacht industry, as the yacht was the first one with particle filters at the main engine exhausts. Projected top speed is 21 knots. 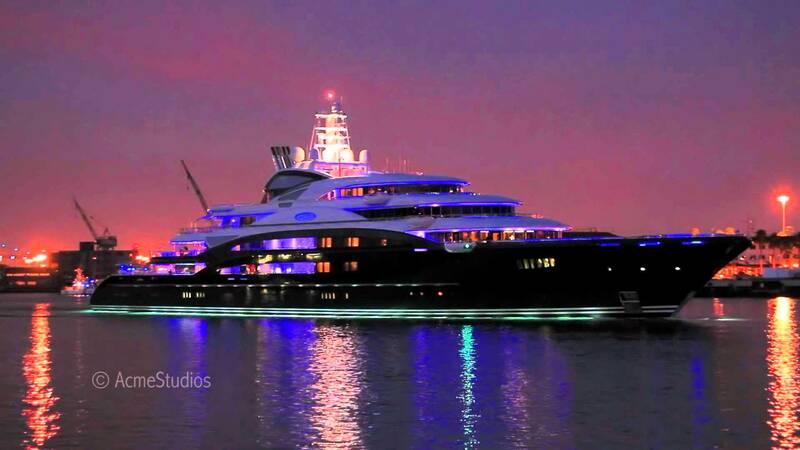 Former CEO of Microsoft, Paul Allen, has few yachts that can impress people. 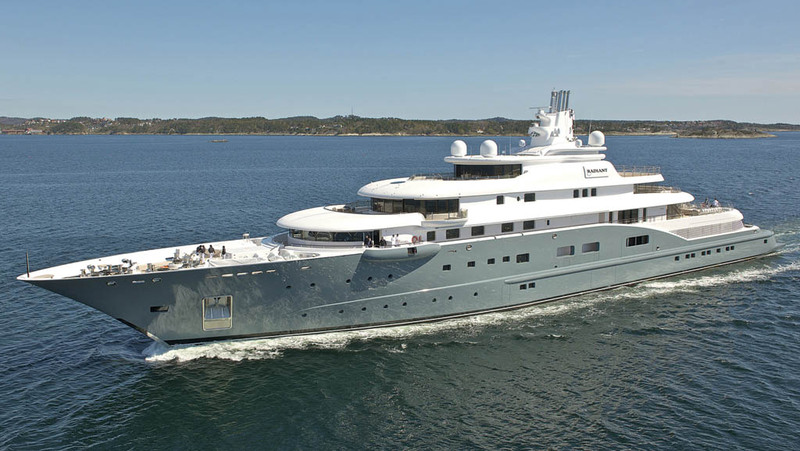 Tatoosh is one of those yachts, with 92 meters (303 feet) long body. Allen purchased the yacht in 2001 for $100 million. Not much can be said about Tatoosh. The yacht has a pad for two helicopters, adjustable pool, movie theater and several luxury suites. Lady Moura was the ninth largest yacht when it was launched in 1990, but has since fallen to No.28. Despite its “small” size, Moura is still one of the most prestigious yachts at sea, thanks to the improvements made by new owner, Saudi businessman Nasser Al-Rashid. 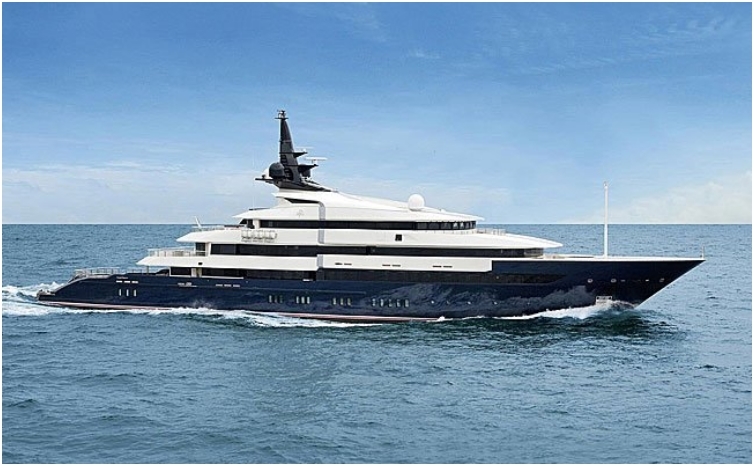 The yacht is made fully out of steel, making it one of the heaviest on the list. The name on the boat is carved in 24 carat gold. 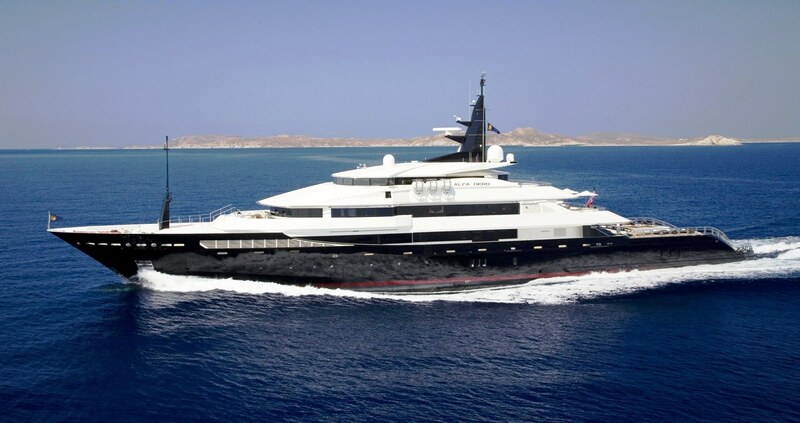 The Sultan of Oman is the proud owner of this luxury yacht. Despite luxury, this yacht offers great transportation services, as the Al Said is the world’s highest displacement super-yacht, and the most powerful. 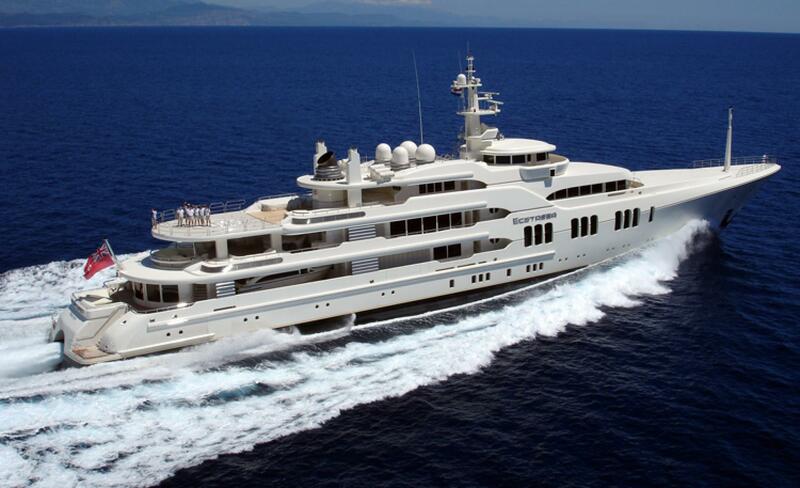 Samar has everything that a luxury super-yacht can offer. Everything you can imagine, this yacht has it. Helipad, spa pool, garage, movie theater and much more. As a transportation asset, Samar can transfer up to 44 people without the crew included up to 6,000 nautical miles. Long 436 feet, the Al Mirqab is longer than a football field. 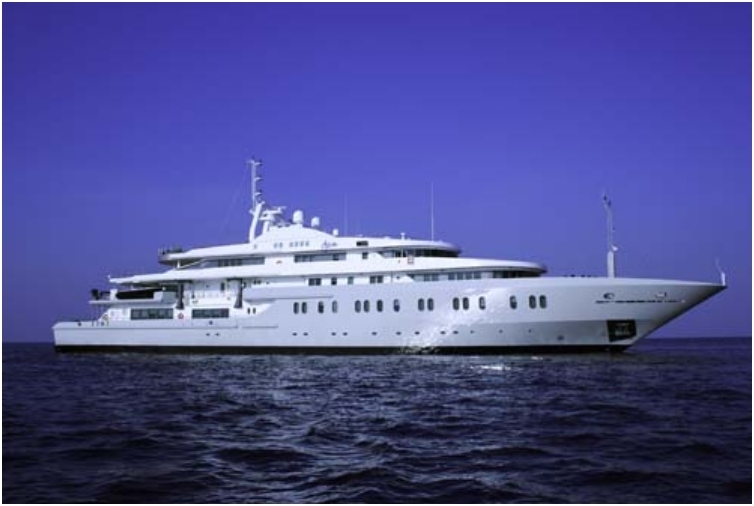 Owned by former Qatar President, the yacht is the second largest privately owned yacht on the list. The owner gets a VIP suite, while the other guests are accommodated in 10 suites. 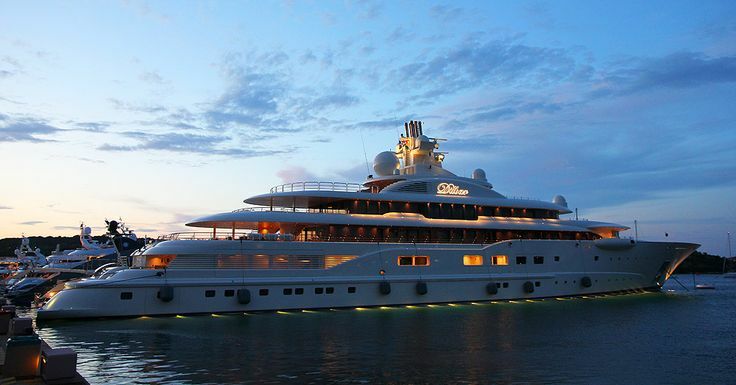 After it was built in 2008, the yacht was voted “the Most Beautiful Yacht” in the world. The second iteration of Moonlight has one of the most expensive spa facilities in the world of luxury yachts. Some of the key features include: 3D cinema, spa, Jacuzzi, registered RYA training center, gymnasium and much more for the convenience of 36 guests. Russian tycoon Boris Berezovsky was the original owner of the Radiant yacht. 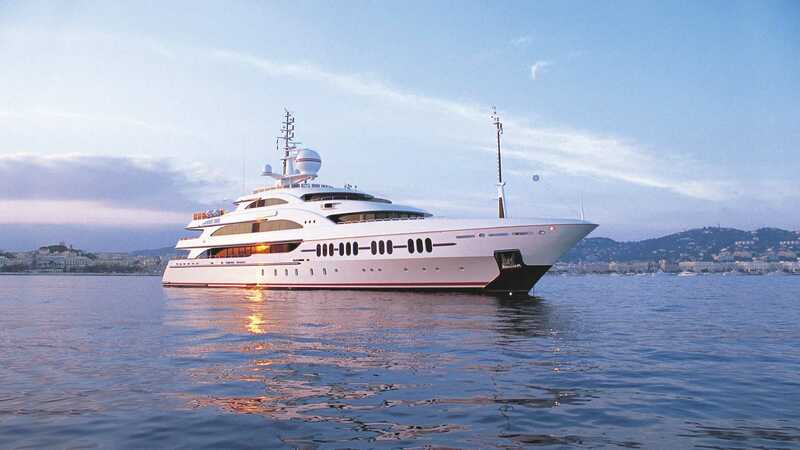 However, due to financial issues, the yacht never ended in Berezovsky’s backyard, as he sold it to the Al Futtaim family. 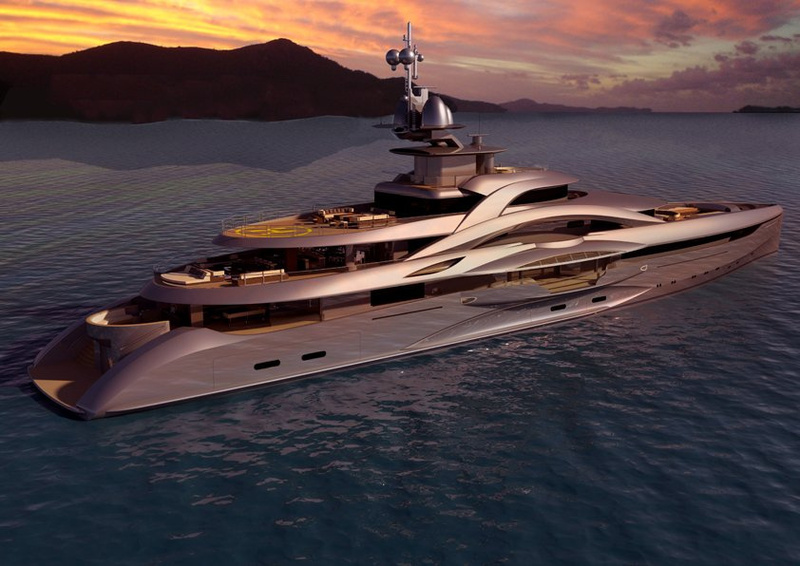 Project Mars is one of the sleekest and most beautiful yachts on the list. The unique look of the yacht is accompanied by extraordinary features like enclosed living garden, backlit bar and backlit onyx fireplace, office, gym, children’s playground and much more. 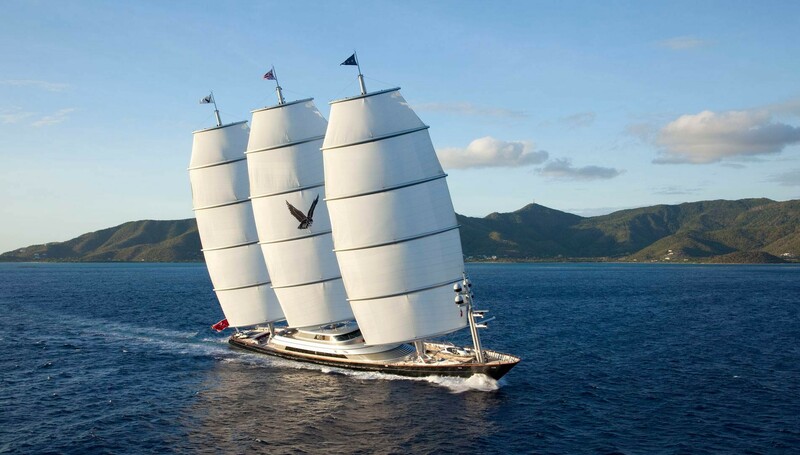 The Maltese falcon is one of the most technologically advanced yachts on this list. For example, its sophisticated computer system can detect several key parameters essential for smooth sailing, such as wind speed and instantly show the data on the computer screen. A single person can pilot the yacht. In 2008, the owner Tom Perkins wrote a book about the yacht. One pattern that you might notice is that most of the yachts are build for CEOs of companies in the technology and computer industry. The Rising Sun, for example, was built for the CEO of Oracle, Larry Ellison. And after all, those are some of the richest people in the world. The yacht features 82 rooms on five levels. For sports and recreation, there is a basketball court on the main deck. Small, but very convenient yacht, Alfa Nero is one of the elite yachts on the list. The biggest advantage of the yacht is its versatility. 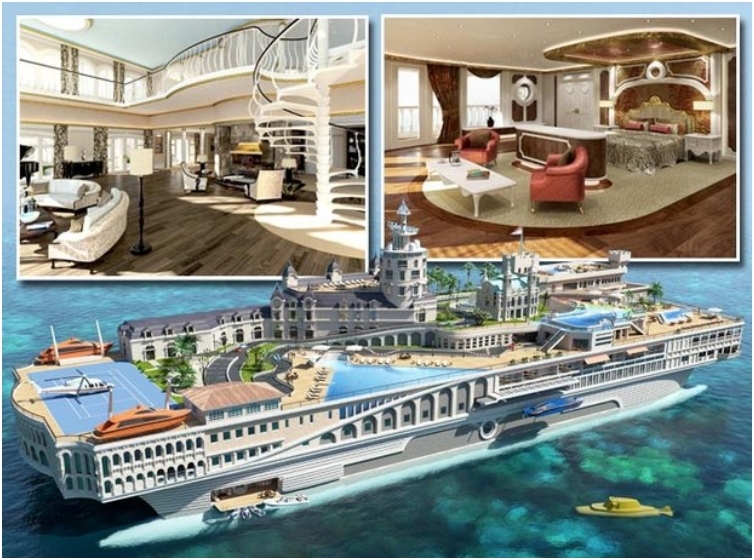 One of the best examples is the main deck, that can be used as a pool, dance podium, and a helipad in the same time. All of that can be achieved through a superior hydraulic system. The Sheikh Abdullah is the proud owner of this beauty. The name of the yacht, when translated from Greek language means “vast”. Fun fact: this yacht has changed several owners, and one of the owners was Roman Abramovich for a brief period of time. The Sheikh bought the yacht in 2011. At this moment, 46 people live on the yacht all year long, enjoying the garage full with toys when they stop near land. The ruler of the Emirate of Dubai had a simple name for his yacht, Dubai, same as his Emirate. At 531ft long, Dubai is the third longest yacht in the marina. The ruler of Dubai was not the original owner of the yacht. Instead, the construction started as a project for the prince of Brunei. In 2001, the ruler of Dubai acquired the building process, and renamed the yacht to Dubai. Previous names included Platinium, Panhandle, and Golden Star. Construction for the yacht started in 1998. At the time, the yacht carried the code name “Mission Impossible” due to the high requirements that the Saudi Prince Sultan bin Abdul Aziz set. When it was constructed, the yacht was the third largest in the world. Since then, it has fallen to No.7. 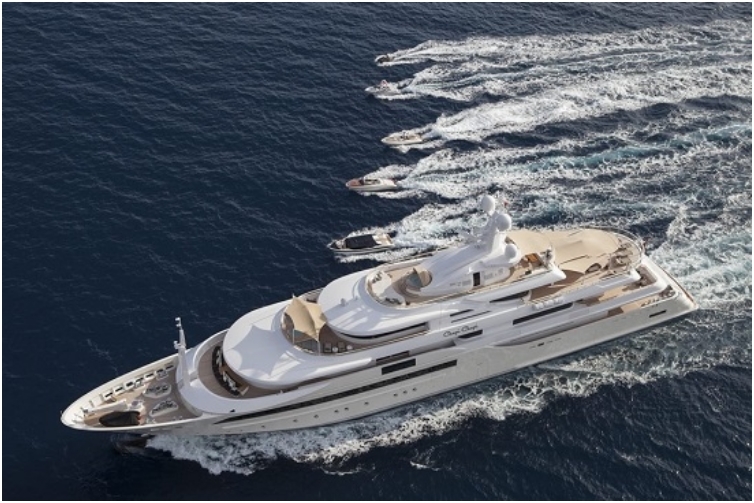 Azzam represents a milestone for Lurssen, one of the best known companies for yachts in the world. 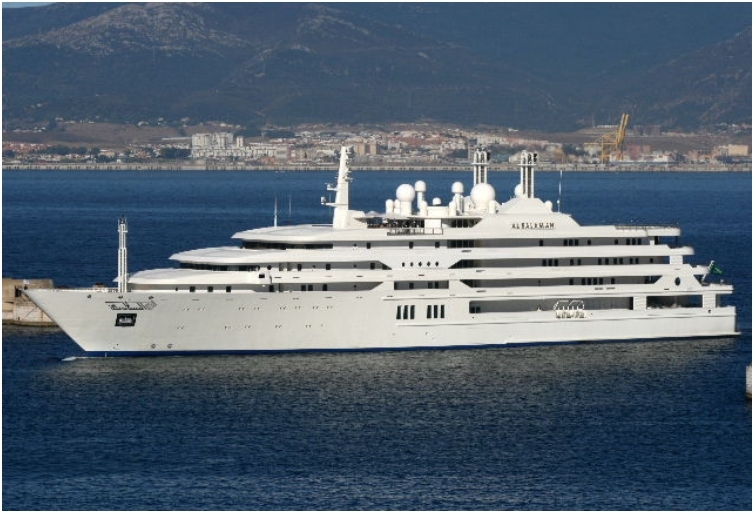 When the construction finished in 2013, Azzam was the largest yacht in the world. Since then, Roman Abramovich’s Eclipse has taken over the top spot. Azzam has broke several records, including top speed of 30 knots, as well as extremely fast construction time of only 4 years (one year of engineering). Ambrosia is the biggest and most beautiful yacht in Asia. Based in Hong Kong, Ambrosia, or Ambrosia III as they call it is a true testimony of true artistic skills. A marble and gold lobby welcomes guests into the yacht, and from there, it is pure luxury. Fun fact: the bathroom in the main cabin is divided to his and hers section, divided by jacuzzi tub and steam shower. 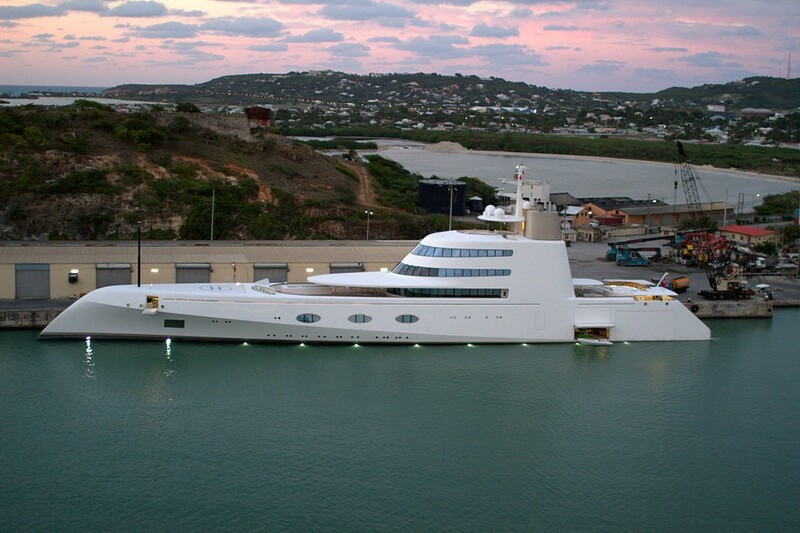 We said former Microsoft CEO Paul Allen has few yachts. Octopus is another one on the list. Octopus is one of the most recognizable yachts in the world. Allen occasionally loans Octopus for rescue missions. Dubbed as the world’s largest sailing ship, the yacht is owned by another Russian billionaire, Andrey Igorevich Melnichenko. Fun fact: Melnichenko has covered some of the costs for the yacht by licensing the technology used for the construction process. 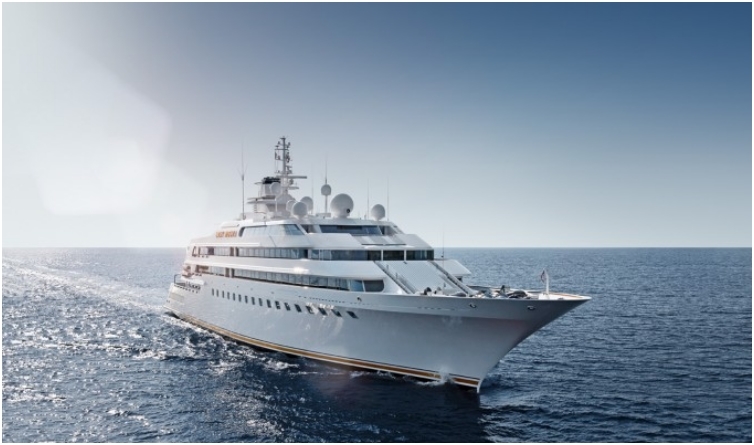 Nautical experts believe that Serene is one of the most technologically advanced vessels in the world. Construction began in 2007, and the yacht was finished in 2011. However, the yachts is still not available for charter or sale. 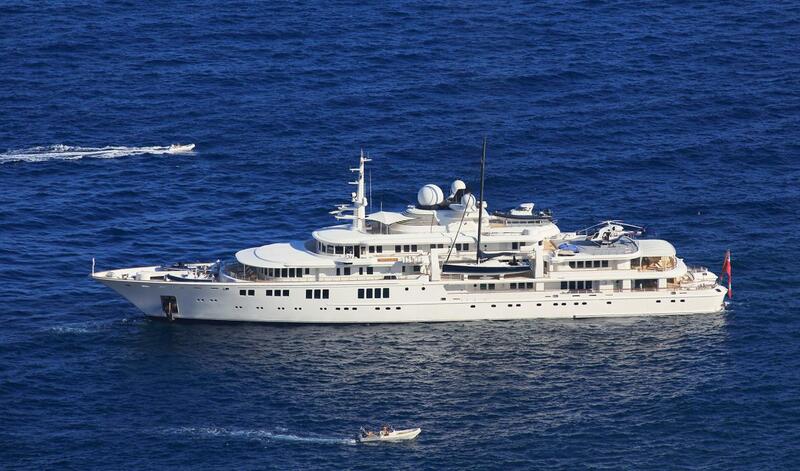 Ecstasea is another yacht that has been in property of Russian billionaire Roman Abramovich. 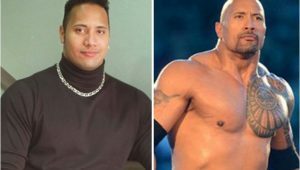 He sold the yacht in 2009, but the new owner was never revealed. Being made completely out of steel, Ecstasea is much closer to luxury ship than it is to a yacht. 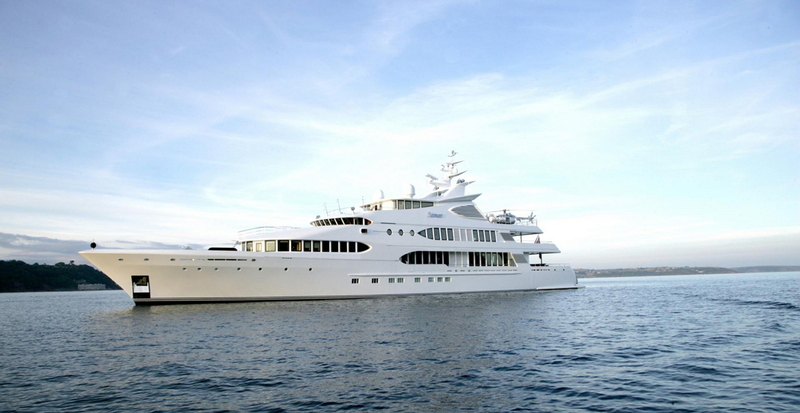 The winner of the 2006 Super yacht award, Ice is owned by Suleiman Kerimov. Ice is one of the many yachts built by Lurssen, a German yacht company. Ice can reach speed of 18 knots. The question you are probably asking at the moment is what kind of yacht can you buy with one billion dollars? Let’s start with a go-kart that mimics the F1 circuit in Monaco, along with other aspects of Monaco. The simple goal of the yacht is to allow clients to enjoy the most luxurious city in the world at sea. That being said, the interior is designed in a way to invoke the luxurious trappings of Monaco. Hotels, casinos, lots of green areas and parks, you’ll find all that on the yacht. 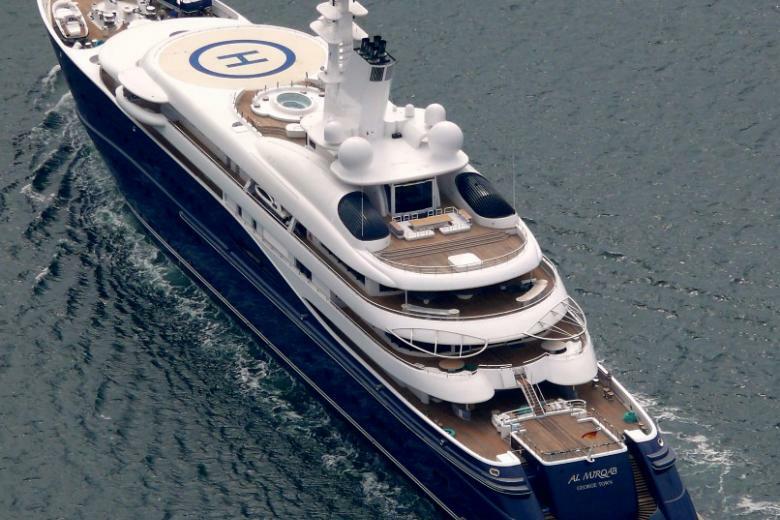 Chelsea owner and Russian billionaire Roman Abramovich wants to have the best of the best, so he made sure that his super-yacht is exactly that. At 557 ft long, the Eclipse is the longest yacht in the universe. But that’s not what makes Eclipse special. A deeper look shows that the yacht is equipped with two helipads, two swimming pools, a disco podium, mini submarine, 30 cabins, and even a missile-defense system. 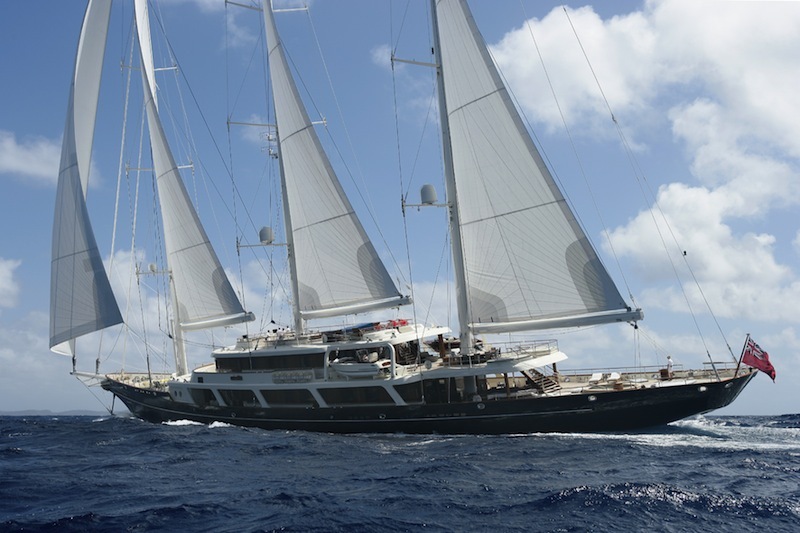 The yacht can accommodate up to 62 guests and 80 crew members. The maximum speed reaches 25 knots, while the cruise speed is set at 22 knots.